Kosciusko County’s very first traffic roundabout is on the old Lincoln Highway. It opened Nov. 22nd on Warsaw’s west side at the intersection with Fox Farm Road. In Warsaw Old U.S. 30 (Lincoln Highway) is known as Lake Street. Traffic roundabouts are designed to improve traffic flow and safety, and eliminate the maintenance associated with stop lights. Another roundabout is scheduled to be built in 2012 at the intersection of Old 30 and Zimmer Road not far from the one already in place. 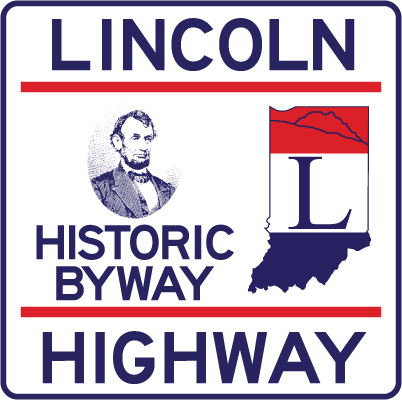 Joyce Chambers and Kimberly Jo Parker have developed a Lincoln Highway resource kit, which is available at no charge to any area schools, and home school teachers. For more information please see our Publications web page. Enter your email address then click the Subscribe button below to receive notifications of new posts by email.